Undoubtedly the place to see and to be seen, Peckham Springs has established itself as the local hipster lair. Nestled under the arches of the Peckham Rye station, this trendy bar is one of the places that have radically changed Peckham's atmosphere. Trendsetter and meeting point of all trendy people, the place combines bar, gallery and street food. 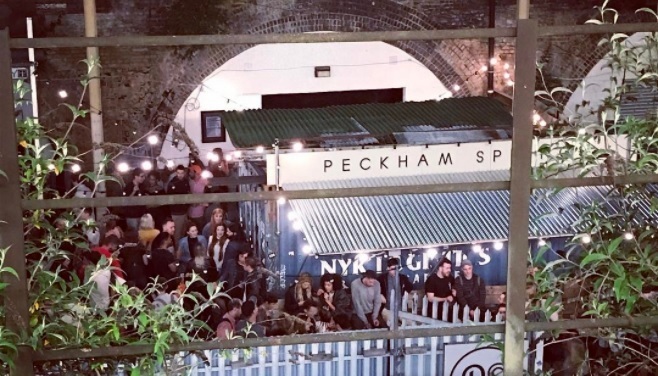 With a ridiculously affordable £6 for a cocktail and half price during Happy Hour (6 pm-7pm), Peckham Springs is definitely the perfect spot for one(or two cocktails) before your second plan for the night. The must-have is the Peckham Springs Water with Gin Bombay, elderflower, lime, tonic, and mint. On the terrace in the spring, it's even better! 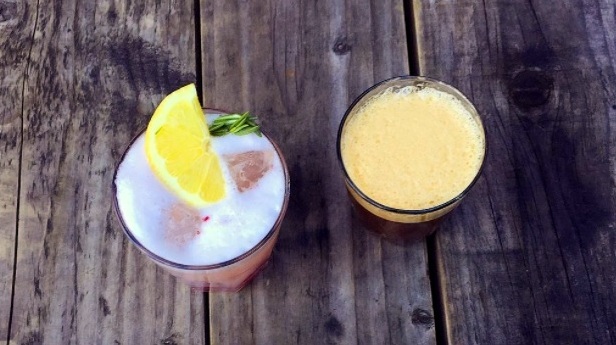 They also have a large variety of original and classic drinks, from the Old Fashioned to Corpse Reviver (Hayman's Old Tom gin, Lillet Blanc, triple sec & Pernod Absinthe). They also offer wines, but it is not exactly a beer bar, as they specialise in cocktails. Still cheap for what it is though. You can also visit the gallery held by To Do and which offers a selection of emerging artists. At the moment, they are showcasing the works of Daisy Perris and Ben Branagan. The rest of the year, they offer month-long exhibitions of various different kind of artists. A good way to see art while having a drink on a Saturday night. Finally, the house offers a large choice of street food that changes regularly at very friendly prices. They host trucks such as Mama's Jerk, Big Apple Hot Dogs and Forza Win. Not high cuisine but a nice and warm snack, made in front of your eyes. Currently this week, they have Bill or Beak offering chicken burgers. Thursdays from 7 pm to midnight and on Fridays and Saturdays from 6 pm to midnight. If it's a rainy night, don't worry, the bar is covered by tents where the customers can hide. You can even make a reservation until 20:30pm for the same day at bookings@peckhamsprings.co.uk as some nights can be really busy.